As a 22-year-old woman on the autism spectrum, I have certainly faced extremely challenging situations throughout my life and still continue to. I live with significant social anxiety and depression. I’m not the most confident person, so trying to lead a normal social life is a challenge. Making conversation is quite difficult for me as I’m never sure how to approach new people. Growing up, I was rejected by many individuals who did not care to understand what having autism meant. I lived in a state of constant distress and agitation – often hanging out alone and waiting for the phone to ring. Excluded by my peers, I questioned my self-worth and whether it was okay to have autism. However, over time, I have learned to appreciate who I am. Someone once told me, “No one can make you feel inferior without your permission.” And I believe this to be very true. In addition to improving my self-image, I’ve learned that I can also help manage my anxiety by doing the things I love. For me, these things include writing, working out and being a part of the Canucks Autism Network (CAN) community. I’ve been a CAN participant since 2011 and even began volunteering for the organization a few years later. CAN is my safe place, because I’m free to be whoever I choose and everyone accepts me for who I am. One of my most cherished memories is the first time I went to CAN Overnight Camp in the summer of 2016. I was quite nervous to be away from home, especially since there were many CAN participants I didn’t know very well. But paired with an extremely understanding support worker for the entire weekend, I felt so at ease. She was kind and non-judgemental about the social anxiety that I struggled with. 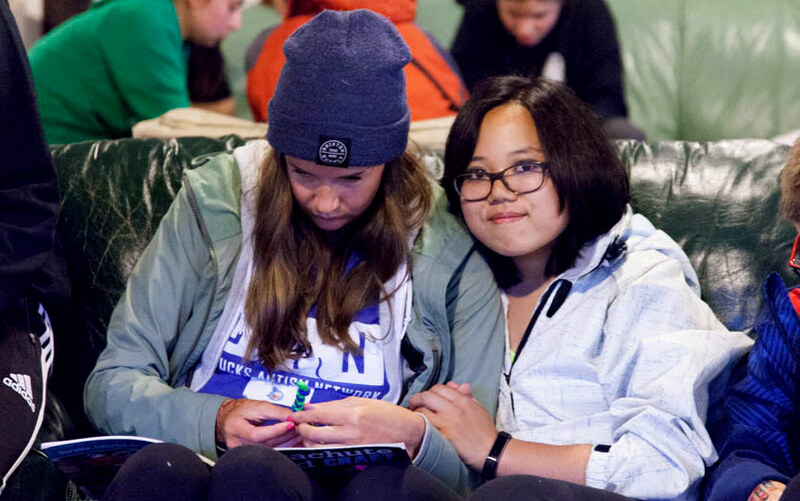 With her support, Overnight Camp was among the most memorable experience of my life. The weekend was packed with activities, but my favourites were archery and making paracord bracelets. While Overnight Camp has given me a weekend that I can fondly look back at, CAN’s year-round social programs have provided me with a regular way to stay involved. In North Vancouver, the Weekly Social Group allows me to get to know CAN staff, volunteers and participants over the course of 6 weeks in the Fall, Winter and Spring. By meeting weekly with the same group of young adults, I feel more confident in building rapport and developing healthy relationships. Playing games like Family Feud gives me an opportunity to get to know other participants and practice my social skills. Most importantly, having fun with other young adults with autism has helped me to see that I am not alone – it’s wonderful to see that there are others who share my struggles. Though our challenges may differ, we all have autism in common. In addition to being involved as a participant, CAN has also given me the opportunity to volunteer at their community and family events. As I continue to mature into adulthood, I want to find more ways to incorporate CAN into my life. By volunteering at events like Family Concerts, Party in the Park and Easter Tea House in Stanley Park, I can also give back. I see a huge difference in myself since joining CAN seven years ago. I’m more responsible and open to conversation with others who share my diagnosis. I’ve made friends who I spend time with outside of CAN. Forming friendships outside of CAN still startles me, but I realize that if I avoid social interaction altogether, I’ll only delve deeper into my anxiety, instead of overcoming it. Through a lifetime of experience, I’ve become naturally distrusting of others. But because CAN’s staff and volunteers have been patient with me, I’ve learned to open up and engage others in conversation more and more. My experiences at CAN have helped me go out of my comfort zone to do the things I love in my community. Exercise helps me feel calm and release anxiety. Since 2015, I’ve been working our regularly at Club 16 in North Vancouver. The staff there accept me for who I am in the same way that CAN staff and volunteers do. They treat me no differently than any other member, which is the kind of respect I wish more people would show me. I realize that my life is always going to be a challenge, because having autism isn’t easy. There’s never a day where I don’t experience challenges and setbacks – and wish to be a neurotypical girl. I may have trouble making friends, developing romantic relationships, and finding a job. But that doesn’t mean I’m going to give up. I yearn for acceptance from others who do not understand autism, but I’ve learned that I’m not able to control how others perceive me or treat me – only how I view myself. I wanted to share my story because above all, I find strength in writing. It helps me let go of negative thoughts. And I find great importance in being able to properly convey my experience – and it’s much easier for me to write than to speak with others. Words are powerful. I have been recently published on numerous occasions in The Mighty, an online community for individuals with disabilities. My articles have addressed my challenges trusting others, making friends and my sensitivity to touch. I am currently working on several other pieces, including the challenges of dating, and aspire to write a memoir detailing my experiences as a woman with autism. Through my writing, I hope to inspire others to tell their story and speak openly about their challenges. I can’t wait to share it with the CAN community. 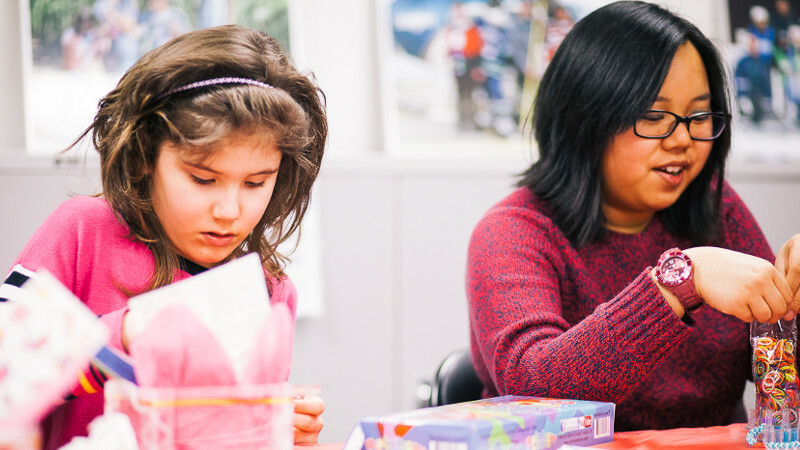 Later this month, Keara will be participating in the CAN Youth & Young Adult Advisory Group’s first meeting to discuss the future of our programming for participants aged 13+. If you are a youth or young adult CAN member and would like to participate, find more details and RSVP on our online form!